Paco Rabanne, one of the most acclaimed male fragrances of all time, launched in 1973 and has won appreciation for the magic it creates. 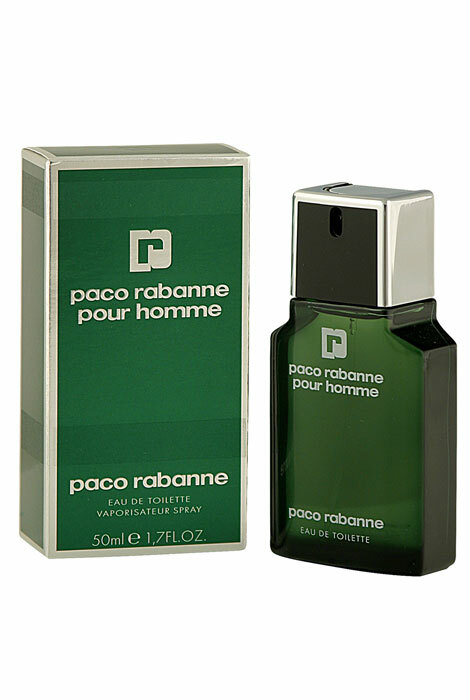 Paco Rabanne men's perfume comes housed in an evergreen bottle that has not changed with the test of time and is still loved by all. A classic ferny scent with soft, herby, aromatic opening and middle, with a smoky and seductive dry down, Paco Rabanne promises to be a friend for life! The scent comprises of rosemary, laurels, sage and exotic rosewood spreading a ferny aura at the first spritz with, soft lavender and geranium with spicy tonka bean at the heart. Sweet and still sensationally hot with honey, musk, amber and oak moss when it dries down. Rich understated luxury that peeks through at the right time to give you an authentic and eternal scent. Suitable for casual wear and a few extra sprays will carry you to a special romantic night with ease. 1.7 fl. oz. EDT Spray. No express shipping. No shipping to PO boxes.